As lawmakers return to Augusta, there’s one decision they can make that can have a relatively immediate impact on those in Maine’s rural areas who struggle to pay for enough food. They can undo an action by Gov. Paul LePage that rolled back federally funded Supplemental Nutrition Assistance Program benefits, causing thousands of people to lose help paying for groceries. It is easy to stereotype those who receive food stamp benefits — as lazy or undeserving. But it’s far more difficult to judge people once you know their circumstances. 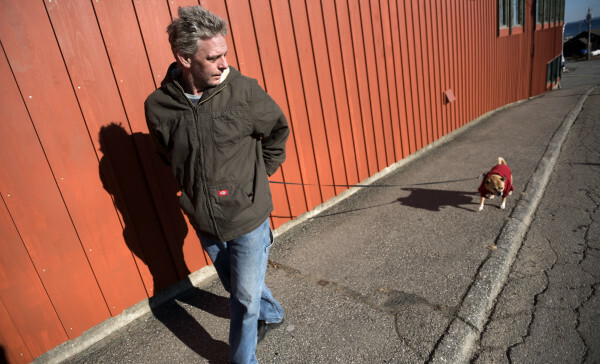 They are people like Elton Thornhill of Rockland, who served in the U.S. Navy, became homeless and has herniated discs in his back, in addition to bipolar disorder and post-traumatic stress disorder. He now has an apartment, but he struggles to feed himself. SNAP allotted him $174 per month to eat until 2015. That’s when Thornhill became one of more than 10,000 adults to lose food stamp benefits after the LePage administration began to limit non-disabled people between ages 18 and 49, without dependent children, to three months of SNAP benefits in every three-year period. They can continue receiving benefits if they work at least 80 hours per month, participate in education or training or volunteer. Of course, it would be wonderful if Thornhill could find an employer. He wants to work, he said. But the reality of his challenges makes doing so especially hard. Not having a reliable source of food makes it even more difficult to find work. He pieces together offerings from food pantries and soup kitchens, walking or biking around Rockland because he doesn’t have a driver’s license. Just because a governor requires someone to work to receive food stamps doesn’t mean a job is possible for someone — or that work will be available. Over the past year, Good Shepherd Food Bank, which distributes food to a network of more than 400 pantries, and the social services organization Preble Street have undertaken the first research effort of its kind to better understand trends of hunger and food pantry usage in Maine. The results from more than 2,000 surveys completed in 244 towns in every county show that, after LePage’s policy changes, hunger didn’t subside and economic situations didn’t improve. Instead Mainers are depending more on local food pantries, stretching the capacity of a network that was set up for emergencies. A quarter of those surveyed had lost SNAP benefits in the past year, and 59 percent said they were using pantries more this year than last. Eighty-two percent of those surveyed at their local food pantries reported using those pantries once a month or more. Seventy-three percent have made trade-offs, choosing between paying for food or other necessities. The prevalence of food insecurity — which is when people don’t have access at all times to enough food in order to lead an active, healthy life — has been on the rise in Maine in recent years, even as it’s dropped nationwide. We can’t imagine that these statistics are acceptable to lawmakers, especially those representing more remote, rural parts of Maine — places where fulfilling the new work requirements are even more burdensome because of manufacturing job losses. They can and should do something about the problem: Pass a bill forcing the LePage administration to seek permission from the federal government to drop the work requirements and associated three-month time limit in places that have experienced especially high unemployment. There are 177 towns and unorganized townships, mostly in the rural west, north and Down East, where the average unemployment rate over the past two years has been at least 20 percent higher than the national rate. These so-called Labor Surplus Areas would qualify for an exemption from the work requirement rules, meaning adults without kids in those areas who have struggled to find work, volunteer assignments or training programs would no longer lose their food stamps after three months. None of Maine’s major job centers — the Portland, Augusta-Waterville, Lewiston-Auburn and Bangor areas — would qualify. Lawmakers can direct the state to apply for the waiver. If successful, it would come at no direct cost to the state since the federal government pays the full cost of SNAP. It’s also important for lawmakers to recognize that food stamps are a small cushion: The average SNAP household in Maine receives $224 per month, while the average American family spends about $650 per month on food. But it’s a valuable sum. When taken away, it’s clear people suffer more. In a tragic catch-22, they find it even harder to get the job that the work requirements were supposed to incent. It’s not everyday that politicians have a chance to do something specific about hunger. They should take the opportunity.